Time for NFL Week 5 Picks, No Flips Included! Okay, back again for another week of NFL Picks on the lovely Noontime Sports Blog, which everyone adores! Last week I went 10-4, which isn’t bad, but sadly, I did root for the Packers to beat the Vikings, sorry Brett! 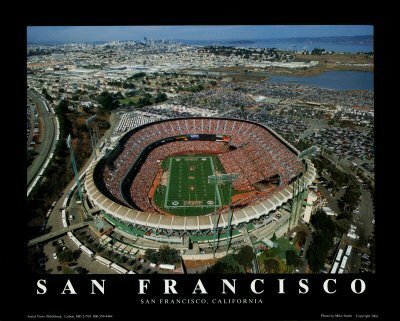 This weekend, I am headed out west to relax in the city by the bay, San Francisco, where I will be blocks away from historic Candlestick Park, so 49ers fans I may root for the red and gold after all. Anyways have a great weekend and don’t forget to thank Christopher Columbus Monday morning for discovering this fine land, which gives us Sunday pigskin too! Anyone want to purchase this jersey? I'll be rooting for the 49ers, especially since I am spending the weekend here!